Helly Hansen Rana Jacket. Building on the success with the W Hilton jacket Helly Hansen designed and developed the W Rana jacket as the next generation. 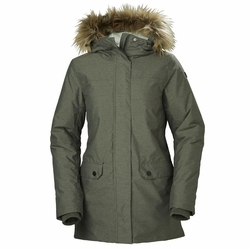 Waterproof great looking shell fabric combined with warm Primaloft insulation, pile lined hood with faux fur and sleek clean design lines. This is the perfect choice for an everyday jacket whatever the occasion and will guaranteed keep you warm, dry and comfortable when heading outside.